Are you looking to make a lasting impression on that first date? Or maybe you’re just looking for the perfect place to seal the deal? Either way, we’ve got you covered! 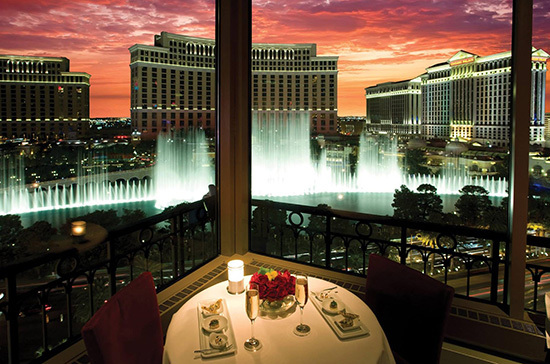 We’ve prepared a list of the most romantic restaurants in Las Vegas. While Paris may be known as the romance capital of the world, who’s got the time – or money – to travel around the world for a date? Not you, you say? Well, don’t worry, because neither do we! However, In Las Vegas, we’ve got the Paris Hotel and Casino, which in our mind is even better than the real thing. You see, here, you get all romance and magic without the language barrier or snooty French waiters. So, come here to treat your date to dinner at the top of the Eiffel Tower! 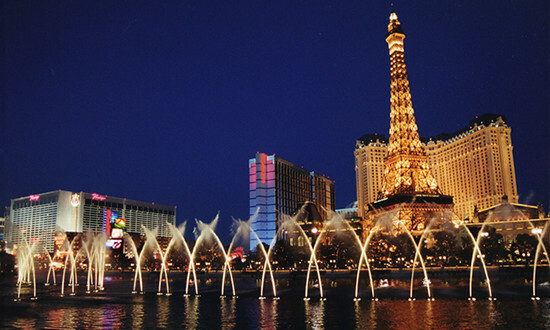 You’ll have an exclusive view of the Bellagio fountains and a menu that offers updated French classic cuisine. Ooh la la! A date to remember. There’s no better way to start a date than with an elevator ride that takes you 800 feet above the Las Vegas Strip. The angled floor-to-ceiling windows provide a breathtaking 360 degree view of the city. Which, on second thought, might not be such a good idea if your date is afraid of heights. The best part? There are no bad tables at Top of the World! The venue revolves every 80 minutes, so you will always have the best view in the house! Oh, and wait till you hear the menu. An impressive selection of gourmet dishes as well as vegan and gluten-free selections await you. The Top of the World is all about atmosphere, romance, and great food, all of which makes for a perfect moment! 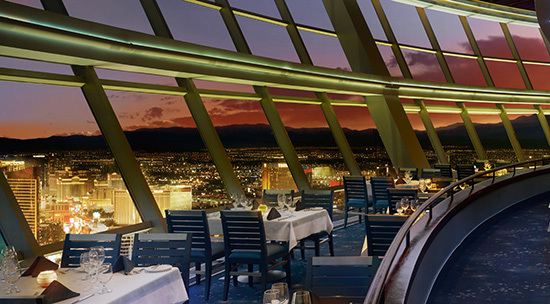 Make a reservation at sunset to enjoy a gorgeous view. This is a true highlight of the Las Vegas dining experience! 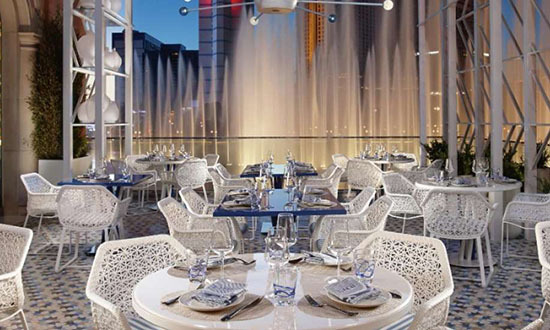 Treat your date to the spectacular views of the Bellagio’s iconic fountains while you prepare to indulge in the gourmet exquisiteness of celebrated chef Julian Serrano. With a modern concept of small plates, you and your dates can peruse Italian focused cuisine designed for sharing – perfect for a first date! They also have a sophisticated mixology program, which may lead to uncharted – but still delicious – territory! Does your date love Italian food? Then prepare to rejoice as we have the perfect place for you! The exquisite menu was created by Emmy Award winning chef Giada De Laurentiis. Here, classic Italian recipes are refreshed with lighter touches, such as lemon spaghetti, rosemary focaccia and lemon flatbread with vegetable Bolognese rigatoni. And if you discover that you don’t have any interesting conversation, you can always watch the chefs prepare fresh pasta and bread from the open kitchen. Welcome to the signature restaurant of the Mandarin Oriental! Created by one of the most celebrated chefs in the world today, Pierre Gagnaire brings a groundbreaking menu of classic French cuisine with a contemporary edge. 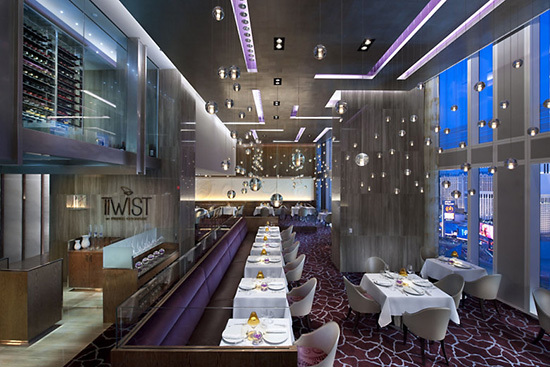 With floor to ceiling windows and a dramatic glass staircase, the ambiance is just as exquisite as the food. Looking for something away from the Strip? Maybe something that brings back the days of old Vegas? A place with that Rat Pack feel? Then make a reservation for two at Hugo’s Cellar! 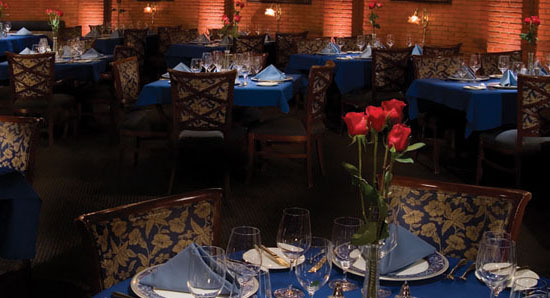 True to its name, this venue is located in the cellar of the Four Queens Hotel and Casino in downtown Las Vegas. As you descend the stairs, long stemmed red roses are handed to the ladies as they come in – something that should definitely help to set the mood for the evening. This lovely underground gem is full of old school Las Vegas glamour, which makes for an unforgettable first date! You would think a metropolis with the moniker of Sin City would leave no room for love. Well, nothing could be further from the truth. 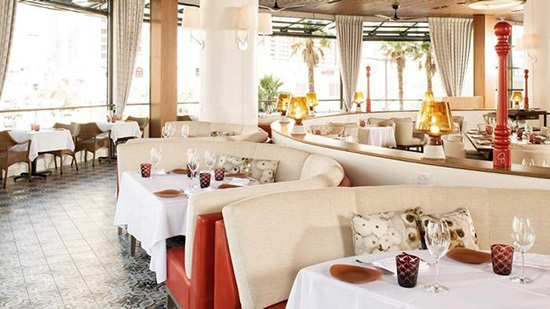 With their amazing views, ambiance and cuisine, Las Vegas has a variety of options for a romantic interlude. So treat your date to the right one. Make your reservations now!